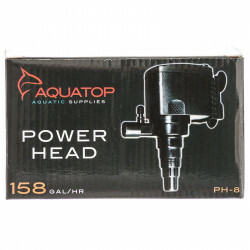 Powerheads are ideal devices for a wide variety of water-moving applications within your freshwater or saltwater aquarium. The primary function of a powerhead is to move your tank's water, whether that's to and through a filtration system, for the creation of waves or simply to keep the water circulating. Powerheads are useful for creating a healthy amount of agitation in your water, preventing it from becoming stagnant (which can lead to increased algae growth and unhealthy water), and ensuring even dispersion of added foods, water treatments and supplements. Pet Mountain's Aquarium Powerhead store feature top quality products from the most trusted names in aquarium care and equipment, including Marineland, Hydor Koralia, Zoo Med Aquatic, hagen AquaClear, Oceanic, and more. 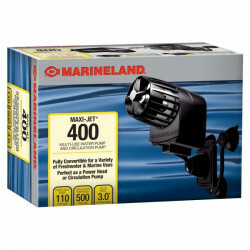 The Marineland Maxi Jet Water Pump and Powerhead is a convertible unit that is ideal to meet the needs of internal/external functions in a powerhead, circulation pump or utility pump. These submersible maxi jet pumps are perfect for powering undergravel filters, protein skimmers, calcium reactors, or just for creating water movement within your tank. 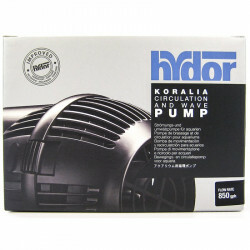 The Hydor Koralia Circulation and Wave Pump boasts greater energy-efficiency and enhanced features than previous Hydor Koralia models. 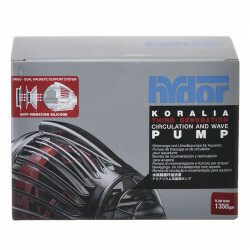 Higher efficiency Hydor Koralia pumps generate up to 20% more water flow at HALF the energy consumption. The patented magnetic base with articulating ball joint allows a full, 360-degree range of convenient pump positions. 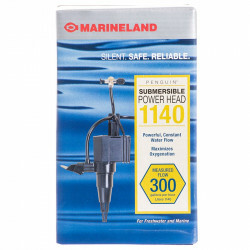 The Marineland Maxi Jet Power Head Pump is ideal for powering undergravel filters or creating internal water movement from its fully rotational output. 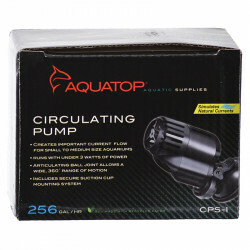 This powerful, submersible, sealed pump Maxi Jet powerhead runs your undergravel filters and works well with wavemakers.